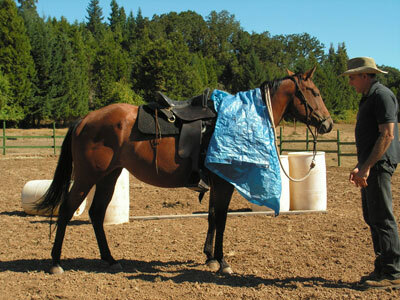 This quarter horse is being de-sensitized to a tarp. She learns to remain calm while the tarp touches anyplace on her body. Notice how she is standing still and not fleeing and is not worried. 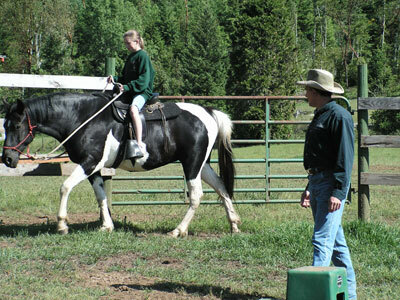 To prepare this quarter horse for her first ride, she first has to accept the rider behind and above their head. Using a mounting block she learns to park herself next to it every time I step up on it. The next step is for her to allow me to to put my weight across her back. 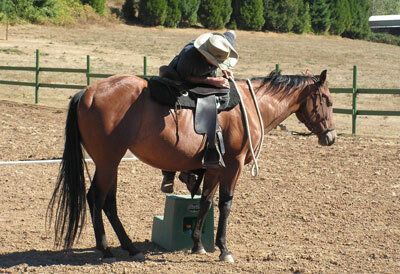 Most important thing at this stage, is to never stay in the saddle more than a few seconds at a time. This beautiful Fresian Import is learning to follow a feel. JASMINE is a 5 year old Mustang. She had a great fear of the saddle due to her previous experience with someone with limited knowledge trying to start her under saddle a year ago. After only 45 days in training with me, she not only accepts the saddle while just ground tied, but she had her first ride without a buck. 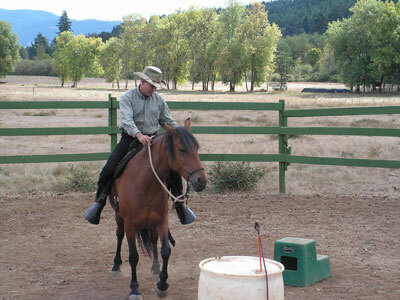 Teaching kids and adults how to ride and be more natural with horses on the ground and in the saddle is one of my biggest joys. i love seeing the change that comes over them when they ride so effortlessly in just a halter and start becoming one with the horse.